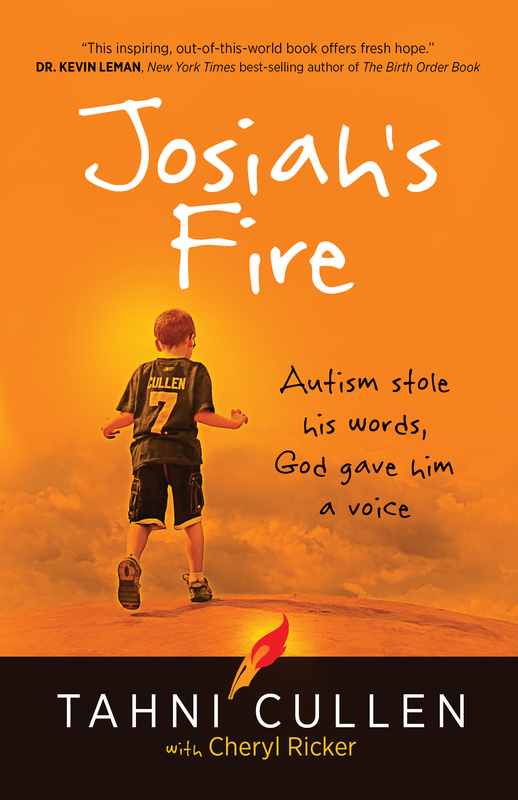 The amazing true story of a boy finding his voice, Josiah's Fire is an encouraging story of triumph and childhood. Looking for a story of hope from God? 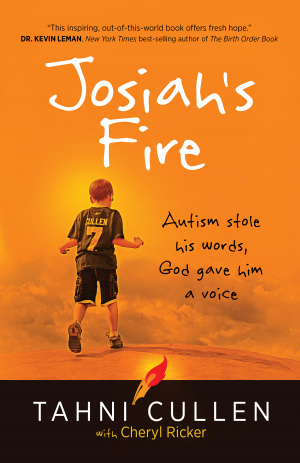 "Josiah's Fire" is an amazing true story of family, hope, and hearing God's voice through a speechless boy. Joe and Tahni Cullen were thrust into a nightmare when their two-year-old son, Josiah, a typical toddler, suddenly lost his ability to speak, play, and socialise. The diagnosis was Autism Spectrum Disorder. Tahni felt like she had been handed a prison sentence. How could a good God have allowed this to happen, and how can Tahni find hope for their future? In their attempts to see Josiah recover and regain speech, the Cullens underwent huge physical, emotional, and financial struggles. While other kids around him improved, Josiah only got worse. Five years later, Josiah, who had not been formally taught to read or write, suddenly began to type on his iPad profound sentences about God, science, history, business, music, strangers, and his heavenly encounters. Josiah's ongoing visions, revelations, and heavenly visits forced his family out of their comfort zone, predictable theology, and stagnant relationship with God, catapulting them into a mind-blowing adventure with Jesus. Josiah's contagious love for God and the Bible, along with his eye-opening visions of biblical proportions, unveil God's glory and majesty and incite a fresh outpouring of joy and hope. Follow a trail of truth into Josiah's mysterious world, and see why his family and friends can no longer stay silent." Josiah's Fire by Tahni Cullen was published by Broadstreet in October 2016 and is our 2447th best seller. The ISBN for Josiah's Fire is 9781424551408. Read this book if you have ever been touched by Autism or disability it will change your perspective for life! Inspiring, faith building, world changing! Just finished reading this book, blown away by Josiah and his family. Blown away by Gods love, kindness and goodness! Autism is a subject close to my heart and my own hearts desire is to be able to reach these people who seem so locked into their own worlds and make them understood so that their true worth and value can be realised. Just as I hoped and dared to dream Jesus is so close to those who seem so far, he is infininately able to understand and be understood and never leaves or forsakes them. I was moved to tears by the truths revealed in this book that Josiah is schooled by Jesus himself taught profound and deep truths and his high intellect is no longer frustrated by those who think because he doesnt yet have a voice he has little intelligence. Read this book for Hope, faith building and better understanding of heaven and God! Got a question? No problem! Just click here to ask us about Josiah's Fire.